Loan Objection Contingency for Crested Butte Buyers and Sellers can be stressful. It can be an anxious time waiting for all the contingency dates to come and go. It usually takes a bank forty-five to sixty days to determine if the loan is approved. It’s not unusual for a buyer to ask for an extension of this contingency date due to the buyer not receiving official approval from the lender. I have had clients tell me, “I know the president of the bank,” or “the mortgage broker is my next door neighbor and good friend”. Or “I have been a customer at the bank for twenty years,” or “I bought my last two properties with loans from this bank”. None of that seems to matter, as the black hole of the underwriting department is a wheel that turns very slowly. Expect multiple requests from underwriting for more information. The buyer has the right to terminate the contract if, “in their sole discretion,” the terms of the financing are not acceptable. As an agent representing a buyer, I am very protective of the buyer’s earnest money. The Loan Objection Deadline date is usually the last contingency date on the contract. If the bank has not approved the loan and this date passes and then the bank does not approve the loan then the buyer cannot close and the buyer’s earnest money is at risk. If you are approaching the Loan Contingency Date and the bank has not given the buyer official notification that the loan is approved then this could happen. The buyer has to make a decision whether to ask the seller to extend that contingency date, or terminate the contract if they think they will not get loan approval. The potential worst-case scenario for the buyer is that the buyer “believes” the bank will approve the loan, but the loan contingency date passes, the loan is denied, and the buyer does not have the funds to close. The buyer’s earnest money is then at risk. The seller has to make a decision whether to approve the Loan Contingency Date extension or terminate the contract. The seller may think the buyer may not ever get loan approval, and will continue to delay. Additionally no other buyers may be looking at the property since it is under contract. If the seller has a back-up offer from Buyer #2, he may deny the loan contingency extension. Especially if Buyer #2’s backup offer is stronger. 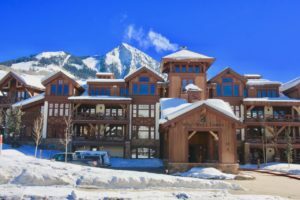 This is why Loan Objection Contingency for Crested Butte buyers and sellers involves making difficult decisions for both parties. 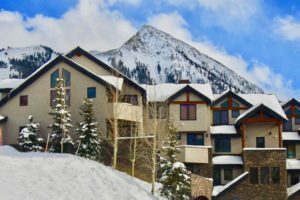 Let me give you an example of how Loan Objection Contingency for Crested Butte buyers and sellers can go. I represented a buyer, a couple from Denver who had a relationship with a Denver bank and a loan officer at the bank. The Loan Contingency Date was approaching, and I sent an email to the loan officer to check on the status of the loan approval. I asked when they would get the final numbers to the title company so they could produce the buyer’s settlement statement. “Tomorrow” was the answer. Well, tomorrow came and went, and came and went again. On the day of the loan contingency deadline, the loan officer at the bank said underwriting needed one more week to review the application. We got an amend/extend signed by both the buyer and seller to extend the Loan Contingency Date one week. The seller had demanded that we use a title company in Colorado Springs where the seller lived. The title company was supposed to get all the documents from the bank, FedEx the documents to the buyer in Crested Butte. They would review the documents, sign the closing documents and the loan documents, get everything notarized, and FedEx all the documents back to the title company. The morning of the day of the closing, the bank still had not sent the documents to the title company. If we did not show up with signed closing documents, and the seller had a backup offer from Buyer #2, then my client could have lost their earnest money and their dream home. The bank emailed the loan documents to me, and the title company emailed the closing documents to me. The buyer reviewed and signed the documents in Crested Butte and had them notarized. The bank wired the money, and I drove the documents to the title company in Colorado Springs to make the closing. We closed successfully. Some anxious moments because Loan Objection Contingency for Crested Butte buyers and sellers can be stressful. But a happy ending, and my clients and their family and friends are enjoying their Crested Butte dream home to this day. In the end, being a realtor is not about selling houses that sit on this parcel of land or another: it’s about relationships, and about making the client’s dream of owning a Crested Butte home come true. If you don’t feel like your realtor will go to the wall for you, look for another realtor, someone you’ll be happy to say hello to in the years ahead. Crested Butte is small; I see my clients all the time, and it always makes me happy that I played a small part in making their dreams come true. 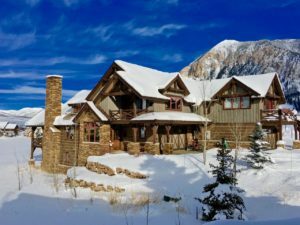 If you are Buying your Crested Butte Home – click HERE to get a free copy of my Book The Complete Guide To BUYING Your Mountain Dream Home.